MMP Songbook – Paperback Ed. A new collection of accessible songs and instrumental arrangements for all abilities, scored for piano, voice and student instruments. 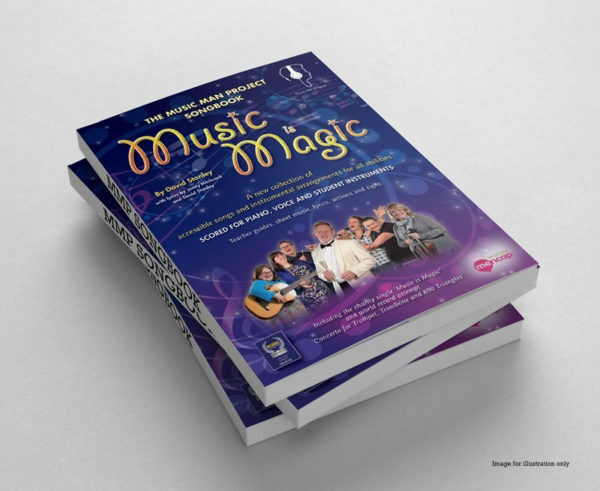 The Music Man Project Songbook is now available as a full colour paperback printed edition. Two versions are available: Spiral Bound or Perfect Bound paperback. Please state your preference at the time of ordering.